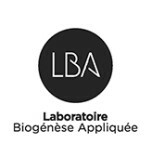 The Laboratoire de Biogénèse Appliquée thus applies all its expertise to the field of cellular cosmetics, in order to offer its customers quality products that contribute to general well-being and to overall cellular and tissue renewal. 1978: Mr. Joseph Jacques DOMINICI is injected by a Doctor in Paris with embryonic cells. This is when thoughts about developing a range of cellular cosmetics began. 1981: Creation by Mr J.J. DOMINICI of L.B.A. A laboratory for harvesting bovine embryos is set up at Chambéry (Savoie, French Alps). The first T.P.R., Amniotic and Allantoic extracts go on sale. 1985: Creation of a range of cosmetic products from animal origin La Biogénèse Hibernée. 1986: Opening of the first sales markets in south-east Asia. 1994: Biogénèse Beauty Balance or B3 the second biggest brand of cosmeceuticals made from products of cellular and plant origin is introduced onto the market. 1997: The first range of dietary supplements is launched. 2007: The C3D range is introduced. 2014: A New company headquarters is set up in Clichy (Paris/France). 2015: The Bh M+D brand is introduced.